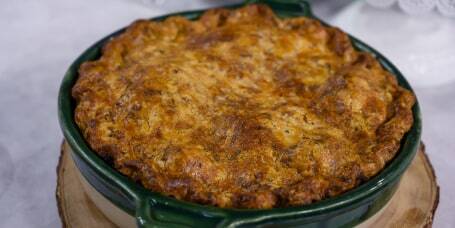 Treat yourself to these easy southern recipes and comfort food ideas. 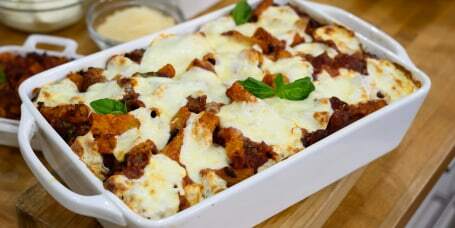 Find the best comfort food recipes for chicken, pasta, desserts and more. 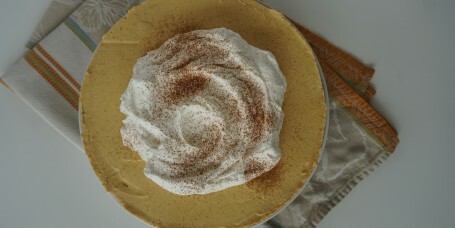 Give that fall favorite pumpkin flavor a little love throughout the year with this gorgeous, no-bake cheesecake recipe. 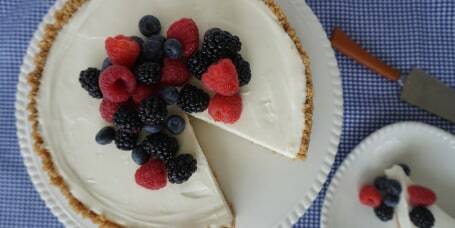 A cheesecake with sour cream cuts down on the sweetness and makes a glorious base for fruit compotes. 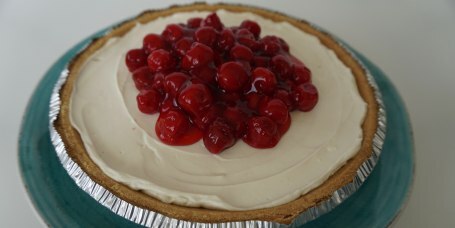 This simple cheesecake requires no baking and uses sweetened condensed milk for a smooth, decadent flavor. 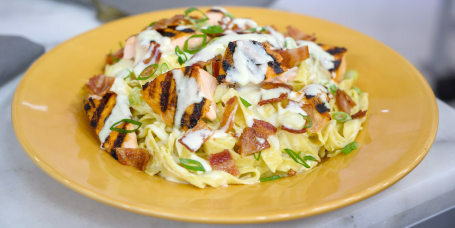 Makes pasta with Alfredo sauce as easy and 1-2-3 with Sunny Anderson's simple and delicious recipe. 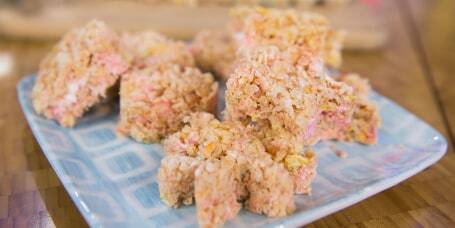 Make colorful Rice Krispies Treats with different leftover Peeps for a post-Easter treat. 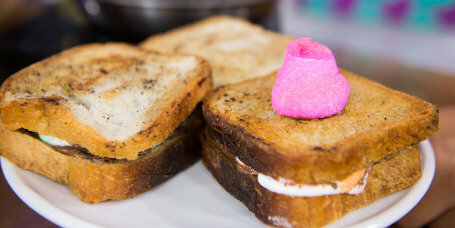 Take s'mores craving to the next level with this decadent grilled Nutella sandwich. 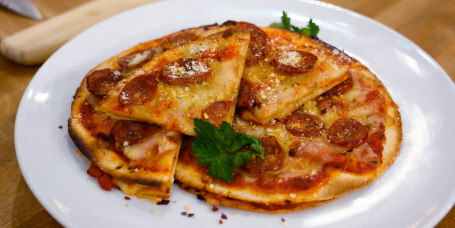 Cheesy quesadillas and sausage pizza become one one delicious dish in this fun recipe mash up. 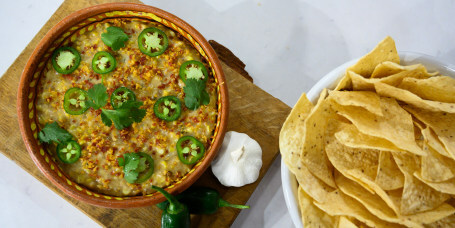 Enjoy cheesy, restaurant-style queso dip in the comfort of your own kitchen. 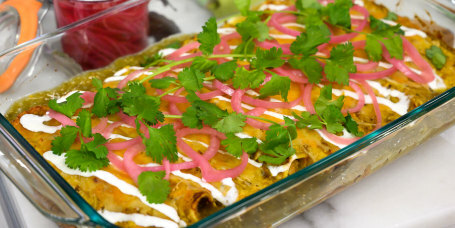 Hot green chiles add a spicy Southwestern flavor to cheesy enchiladas. 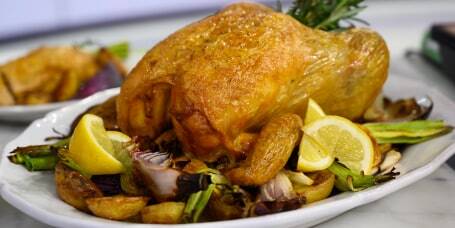 Roast two chickens at a time and you'll always have leftovers to make other meals. 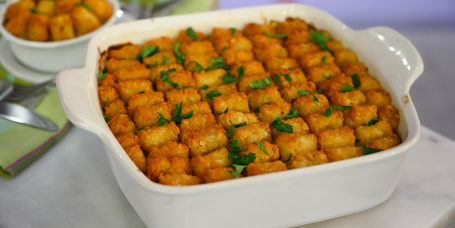 Add a fun and kid-friendly twist to chicken pot pie with a crispy, golden tater tot crust. 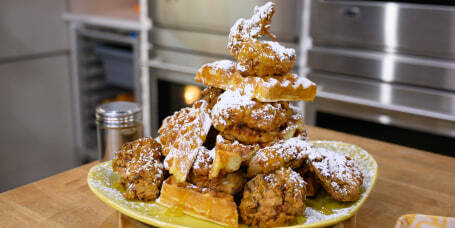 Classic chicken and waffles gets a sweet finish with orange marmalade. 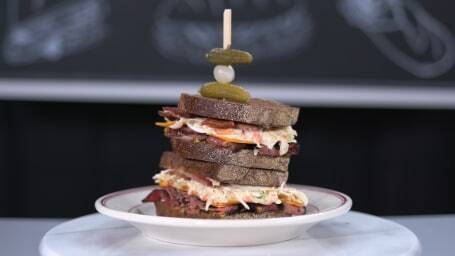 “Deal or No Deal” host and “America’s Got Talent” judge Howie Mandel made his very first sandwich — a savory pastrami creation — with Al Roker. 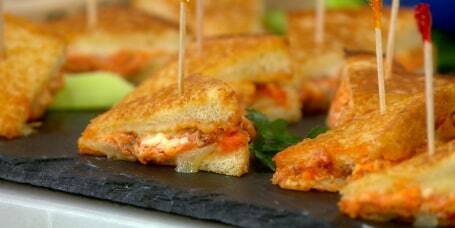 Combine spicy buffalo chicken and crispy grilled cheese into delicious party-perfect bites. 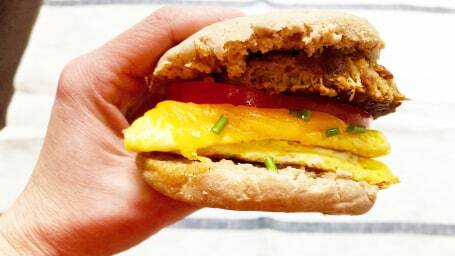 These hearty yet healthy sandwiches are perfect for the morning after a big night out and each has just 315 calories. 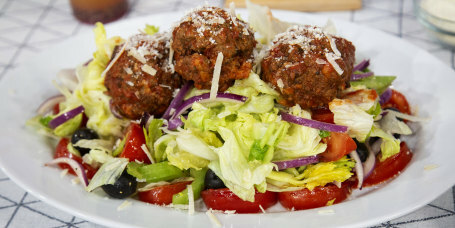 Forget pasta, salad is the new perfect pairing for saucy homemade meatballs. 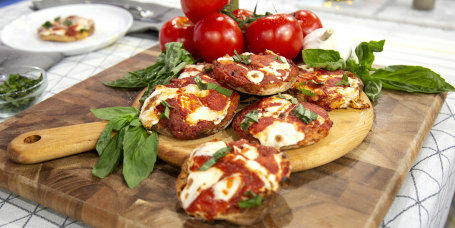 Make pizza even more fun with toasty English muffin crusts and homemade sauce. 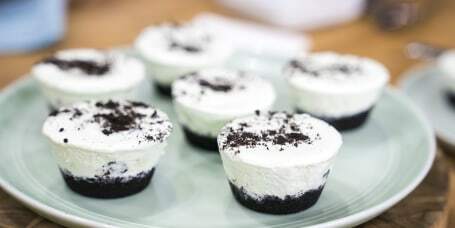 Satisfy a craving for mint chocolate chip ice cream with these adorable mini Oreo grasshopper pies. 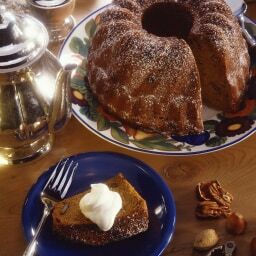 Toasty spices, crystalized ginger and molasses give this gingerbread bundt cake a warm and comforting flavor. 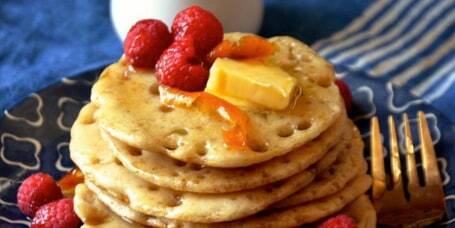 Give pancakes a Moroccan flair with orange blossom water, honey and pomegranate seeds. 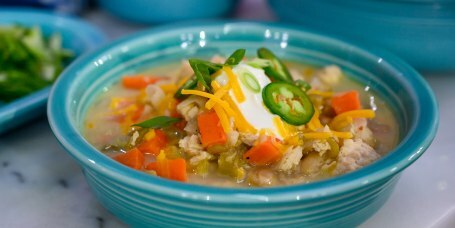 Lighten up regular chili with ground chicken, white beans and fresh veggies. 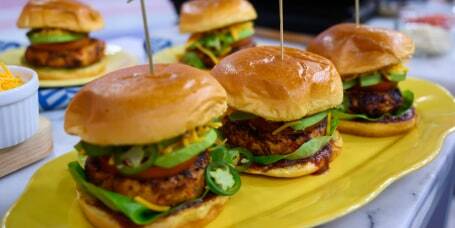 Burgers get a smoky and spicy makeover with ground chicken, spices, delicious barbecue sauce and bacon. 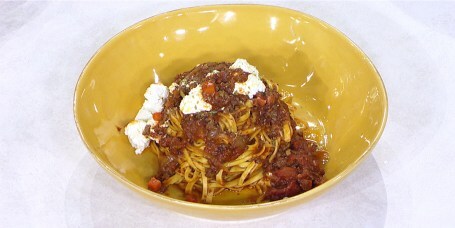 Give the old spaghetti some sophisticated flair by making homemade pasta and a rich, salumi-infused tomato sauce. 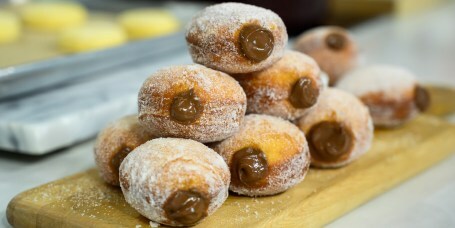 Give doughnuts an Italian twist with sugar-coated bombolini stuffed with sweet fillings. 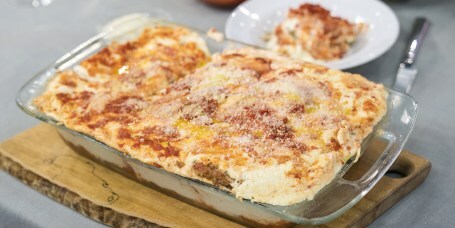 Satisfy a hungry crowd with a big batch of baked pasta with Italian sausage, tomato sauce and melty mozzarella. 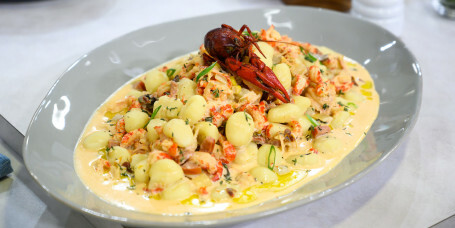 Elevate the flavors of a Louisiana crawfish boil with fresh herbs, tender gnocchi and fragrant truffle oil. 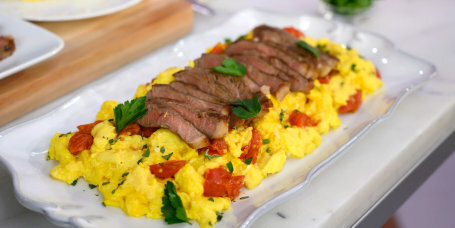 Serve seared steak with fluffy scrambled eggs for a quick, easy and filling breakfast or dinner. 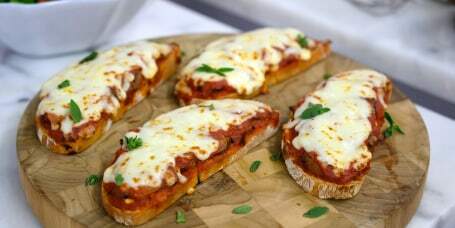 Make quick, easy and delicious sandwiches with sliced steak, tomato sauce and melty mozzarella cheese. 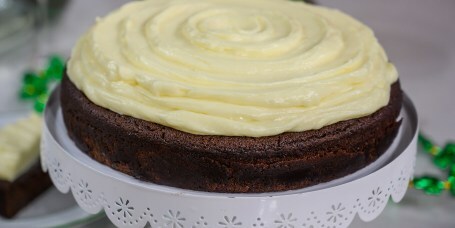 Serve this booze infused chocolaty stout cake for a sweet St. Patrick's Day treat. Warm and hearty Guinness-infused beef stew is the perfect comfort food for colder months. 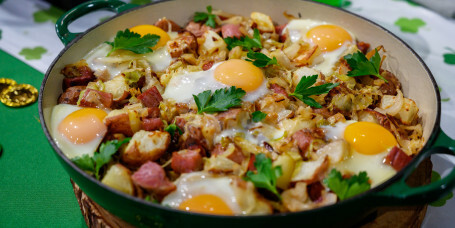 Top sautéed corned beef, cabbage and potatoes with eggs for the perfect St. Patrick's Day breakfast. 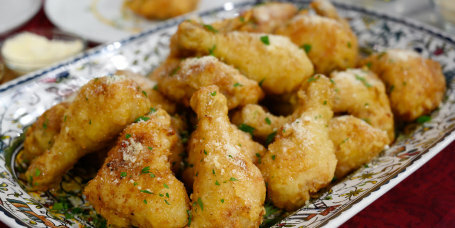 Michael Symon serves his signature fried chicken super juicy and extra crispy. Butter, mascarpone and Parmesan make this polenta incredibly creamy and completely irresistible. 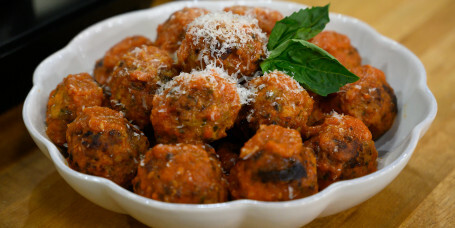 Michael Symon makes meatballs extra soft and tender with one simple, secret ingredient. Olympic figure skater Adam Rippon used to chow down on this delicious sandwich after fasting for competitions. 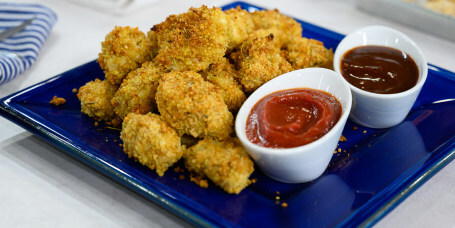 Give chicken nuggets get a healthy makeover with a crispy quinoa coating and baking them in the oven. 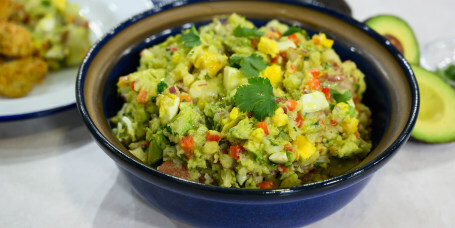 Cut calories and add flavor to potato salad with a creamy avocado dressing. 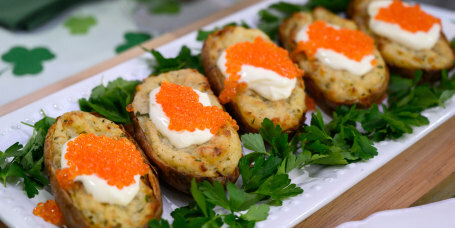 Crème fraîche and trout caviar add an elegant touch to Irish-style salt-baked potatoes. 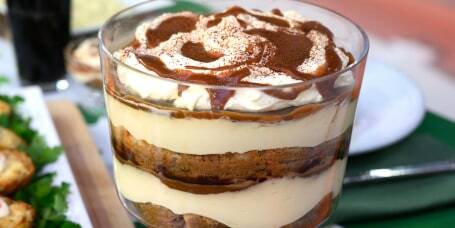 Add a little Irish flair to tiramisu with a layer of sweet Guinness-infused caramel. 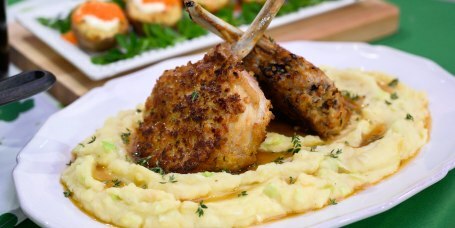 Serve soda bread crumb-coated pork chops with Irish colcannon and a sweet whiskey sauce for St. Patrick's Day.